3CX PBX is an all in one software that interconnects your employees with agile and advanced telephony features, including Audio, Video Conferencing Capabilities and Call Center Modules irrespective of geographic location. 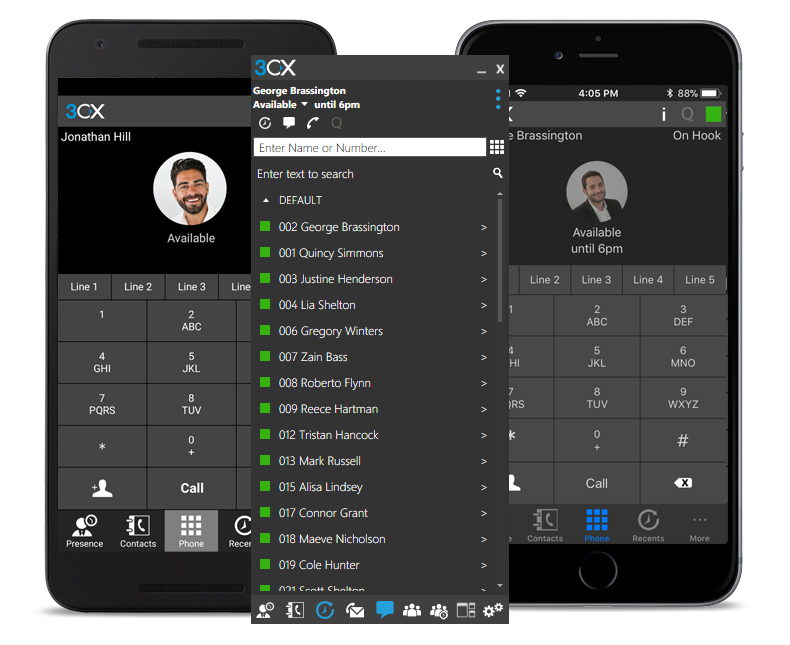 The 3CX PBX System allows you to manage your business communications from Business IP Phones, Laptops/ Desktops, and Mobile Devices, indoors or outdoors. 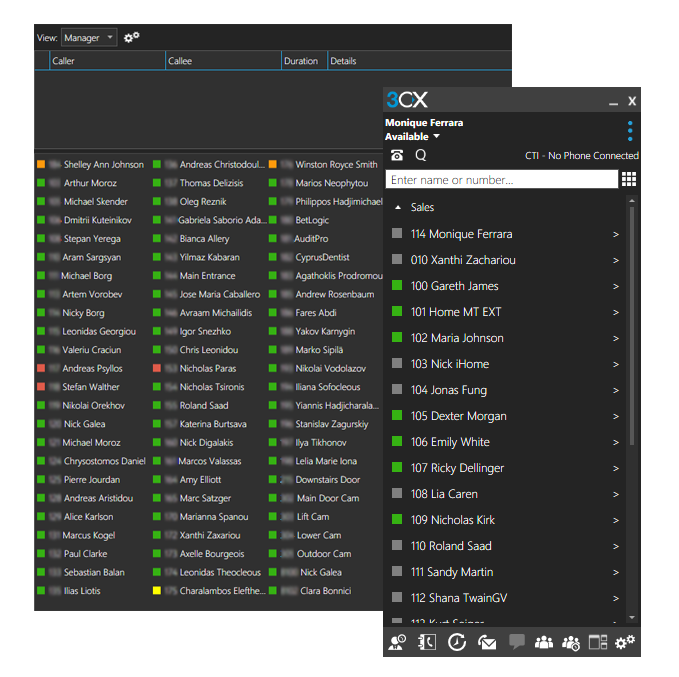 For efficient communications from desktop Apps to Calls from Web Browser, Android, and iPhone Mobile Devices, 3CX offer a software-based IP PBX Solution that works with SIP Protocol. Simple installation with efficient user-ship. Pre-configured templates for easy integration with Voiped Telecom. Automatic plug & play interoperability for IP phones and gateways. Standard Features of 3CX PBX. With 3CX, you can take your extension wherever you go. With apps for Android, iOS, softphones for Windows, Mac, WebRTC softphone, and clientless web conferencing, you are guaranteed to be kept in the loop wherever you go. • Free for up to 250 participants. • Unlimited users regardless of edition. • Initiate a conference with one single click. • Correlated operability between VoIP and video. • Bandwidth Management and Control. • Remote control assistance for quick & easy troubleshooting. • Pre-upload PowerPoint & PDFs before meetings. • Easy to use polling tool for feedback. Deploy 3CX PBX On-Premise or On-Cloud. 3CX deployment of your PBX is straightforward and flexible. Whether set up in the Cloud or on-premise, 3CX offers a solution for everyone. 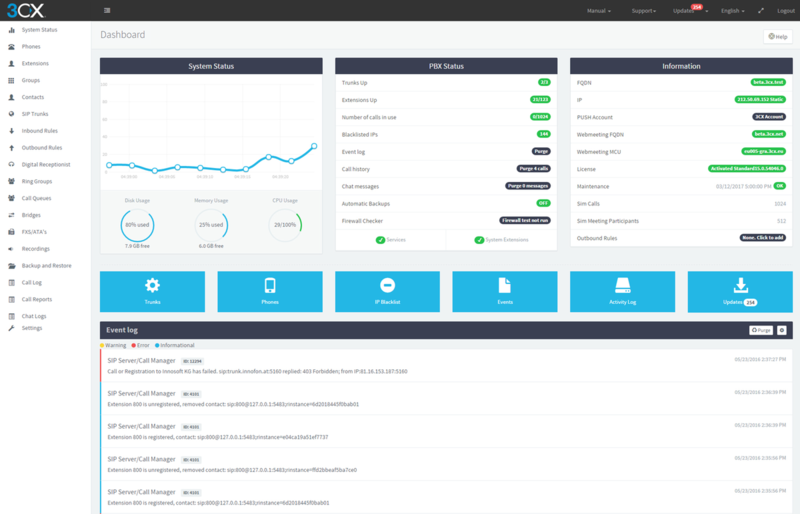 Use the PBX express tool to deploy your cloud PBX, in minutes. Select from a range of mainstream cloud providers such as Google, Microsoft Azure, Amazon Lightsail and many more. Jump aboard the PBX express and benefit from the 1-year free license offer. Deploy on existing Windows or Linux device. Deploy on a mini PC Appliance. Virtualise and segregate on Hyper-V, VMware or KVM. Exclusive 3CX In-Built Security & Backup. 3CXs inbuilt security has been exclusively developed to protect your PBX system from attacks. Encryption between the browser and the website ensured via HTTPS. Reduce Ongoing Telco Costs & Increase Sales. With 3CX, telco costs are significantly reduced, and so will the cost of buying, expanding and maintaining your PBX. Licensing based on a number of simultaneous calls and not extensions. Make free interoffice calls and branch calls. 3CX on Android / iOS Device. Use your extension from anywhere. VoIP calls with your smartphone. Save battery life with “PUSH” notifications. Connect all clients simultaneously via SIP Forking. Most Progressive Android & iOS VoIP clients in the UC market. Benefit from integrated features such as Presence, web conferencing, instant messaging. 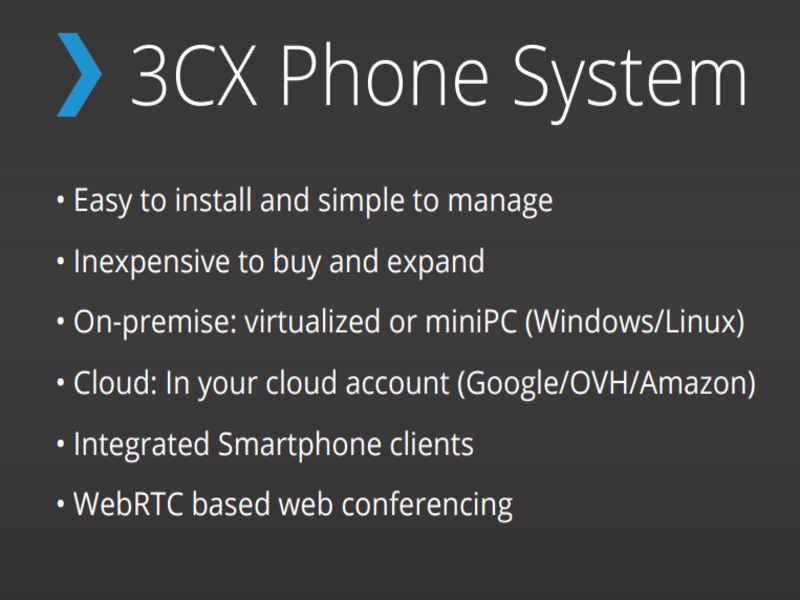 3CX VoIP Softphone for Windows. Initiate IP Phone calls from your desktop with CTI mode. Easily view the presence of your colleagues. Use the Receptionist view to administer calls, then drag and drop calls for a swift call transfer. Launch calls directly from your CRM; integrate seamlessly with Office 365, Google contacts or Internal Phonebook. Automatically obtain reports on customer and agent activities. Includes Wallboard and Q-Manager view. Voiped Telecom, a 3CX Silver Partner, Netherlands. 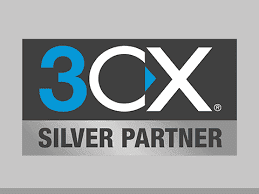 Voiped Telecom is a 3CX Silver Partner, helping resellers and end customers to buy the 3CX Phone System. Voiped Telecom provides small to medium-sized companies, and, specifically, branch enterprises with leading business IT and communication solutions across the Netherlands and Europe. With a team of highly motivated and Advanced and Intermediate Certified 3CX engineers who operate with a high sense of integrity and ownership, we work closely with our clients to fully understand your needs and become a truly reliable partner. Try 3CX PBX Phone System Today, and improve your business communications.